While in the US the visibility of women in technology startups is pretty well established, in Europe it’s suffered a little from the more general problem of the fragmented nature of the European tech scene. Things have improved slightly in recent years (at least that’s my impression, although who knows about the stats on the ground? ), but it remains the case that there are far more men than women. So lifting the visibility of women in technology is no bad thing, especially if it encourages other women to pursue careers in tech startups, which are typically more about meritocratic, flat management that the traditional “IT” roles. So it’s a welcome moment that the newly established Girls in Tech London group (@girlsintech_uk) has announced their pick of the Top 100 women in tech in Europe. The group elected women from 19 different European countries (including the UK, Ireland, France, Germany, Italy, Sweden, Norway, Denmark, Finland, Belgium, the Netherlands, Latvia, Poland, Russia, Lithuania, Spain, Greece, Israel and Turkey) based on their leadership either locally or internationally as well as their contribution to tech and innovation. The Judges included: Max Niederhofer (Accel Partners), Alex Farcet (Startupbootcamp), Patrick De Zeeuw (Startupbootcamp), Audrey Soussan (Ventech), Christian Thaler-Wolski (Wellington Partners), Paul Papadimitriou (Constellation Research), Marco Magnocavalo (Principia), Martin Kelly (IBM), Carl Sibersky (Poprigo), Cristobal Alonso (Bite Group), Oana Calugar (Neogen), Thibaud Elzière (Fotolia), Ciara Byrne (VentureBeat). 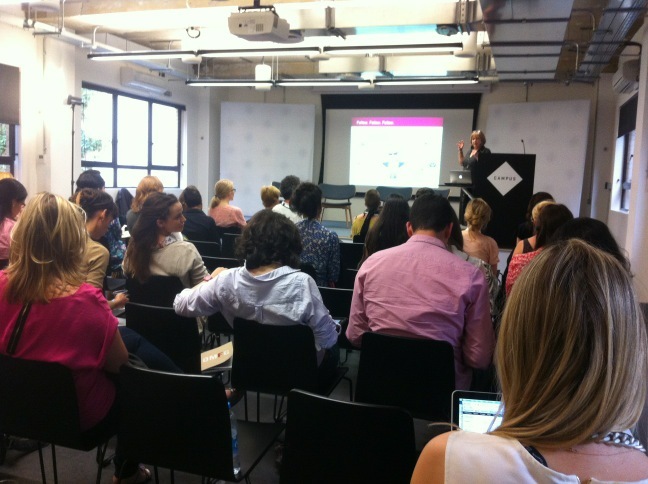 Part of the international Girls in Tech network, the new London chapter is backed by Google, Criteo and Eventbrite. An event in London today featured various speakers including those from Microsoft, NBC, Wired, Eventbrite, Uber, Just-Eat, StylistPick, Decoded, Shopcade, Seedcamp and more.